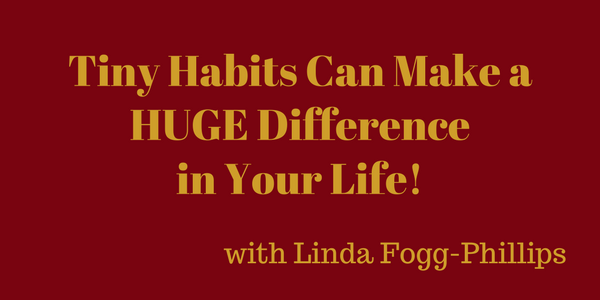 Tiny Habits Can Make a HUGE Difference in Your Life! FLOSS YOUR TOOTH. Not teeth– tooth. This is just one of the many interesting things you’ll hear today on SecondWind. Joyce will be meeting with Linda Fogg-Phillips, director of Tiny Habits Academy, which offers training for individuals, coaches, and businesses on how to create habits quickly and easily for themselves and their clients. She’ll be sharing with us how important it is to create these habits, even if they are as small as flossing your TOOTH after you brush your teeth. She’s offering a SPECTACULAR giveaway that you definitely do NOT want to miss out on, so tune in and find out how tiny habits can make a huge difference in your life!